Blue gradient background with white and black text. 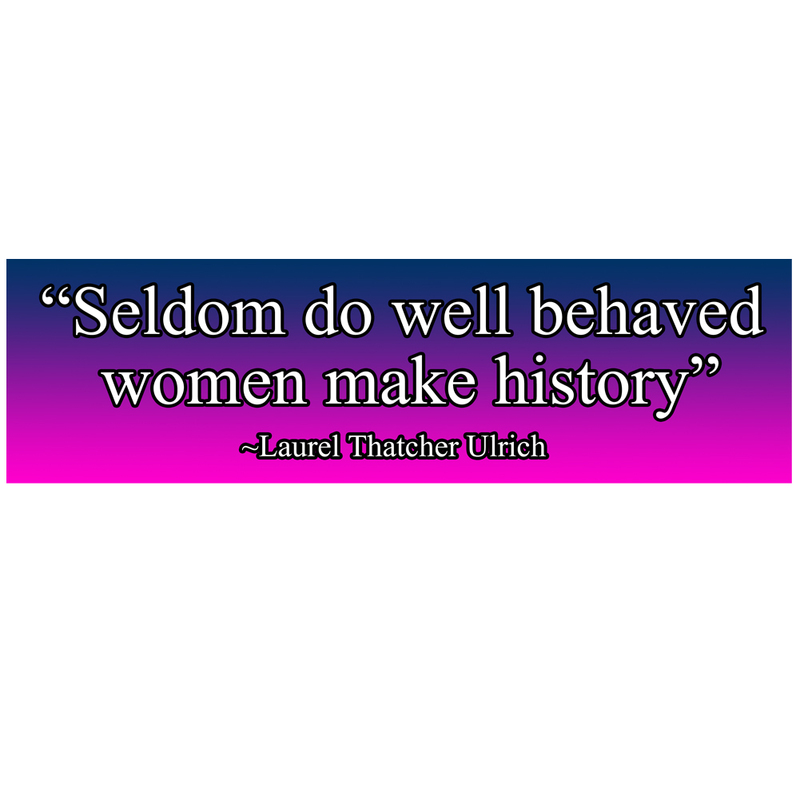 This famous quote by Laurel Ulrich is coming to fruition with women coming into their power in a dawn of a new age of feminism. Purchase as a magnet or on our static cling material for dynamic application options.